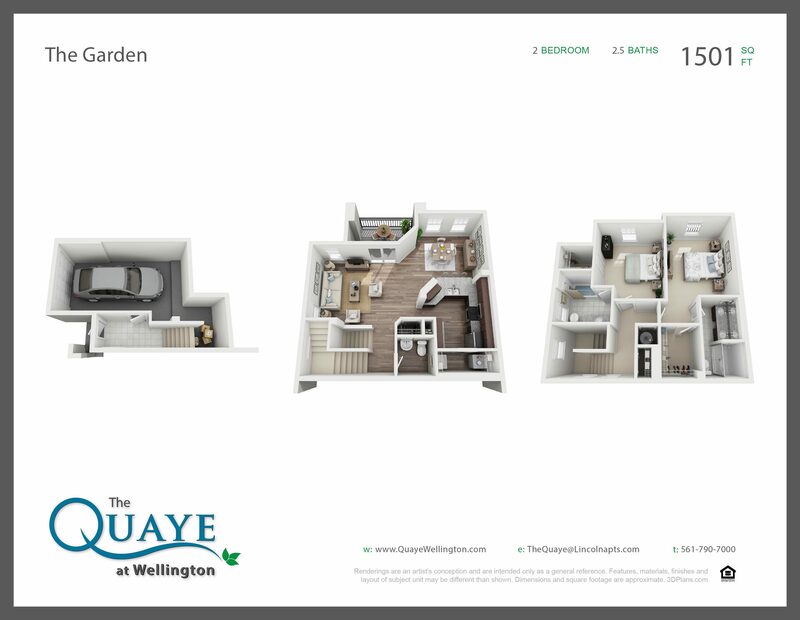 The Quaye at Wellington is sustainable living defined. All of our floorplans were designed with you in mind and offer the richly appointed interiors and upscale distinctions you not only desire, but also deserve. 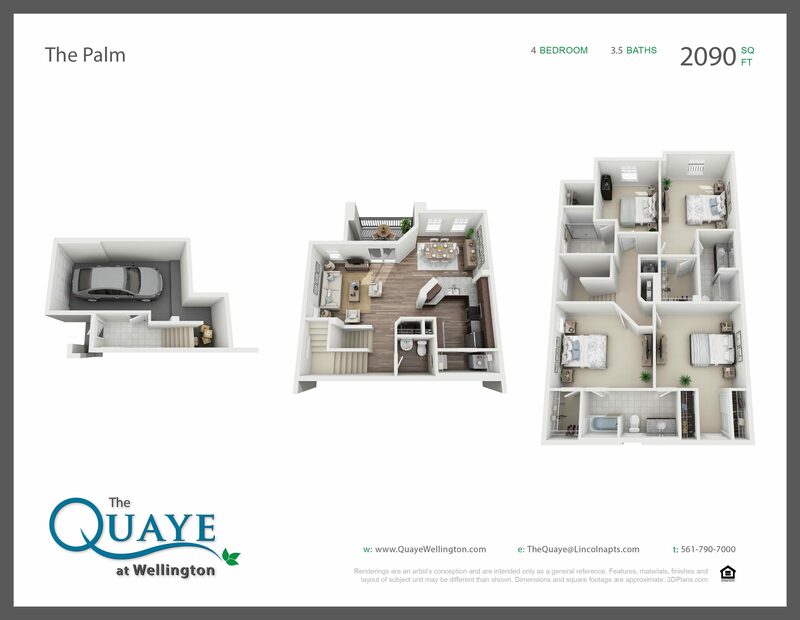 You will find one bedroom apartments and two, three and four bedroom townhomes right here in Wellington, Florida. Enjoy in the comforts of home with private entries, intrusion alarm systems, ceiling fans and screened in patios. 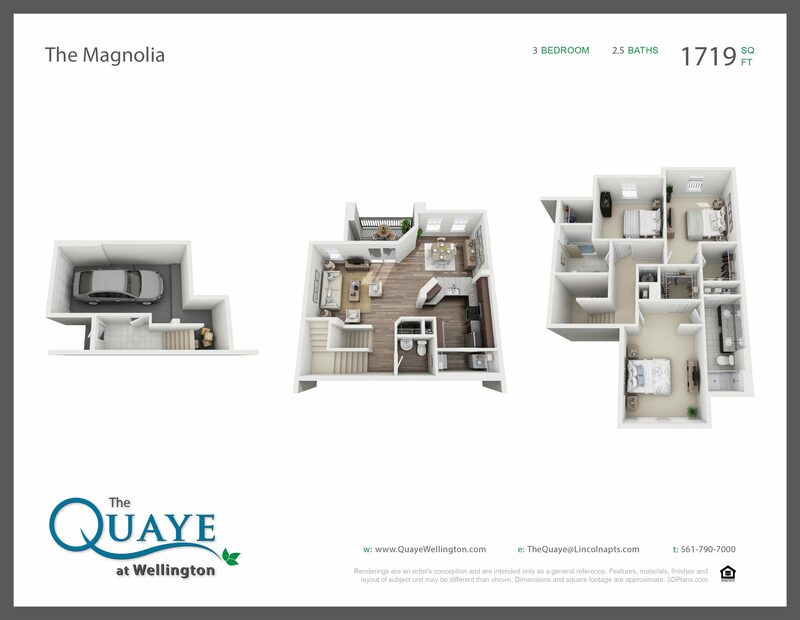 Enjoy the convenience of walk-in closets, kitchen pantries, additional storage and laundry rooms with a full-size washer and dryer. Experience the luxury of wood-style flooring, European cabinets, stainless steel appliances, granite countertops, and tile backsplash in all kitchens. 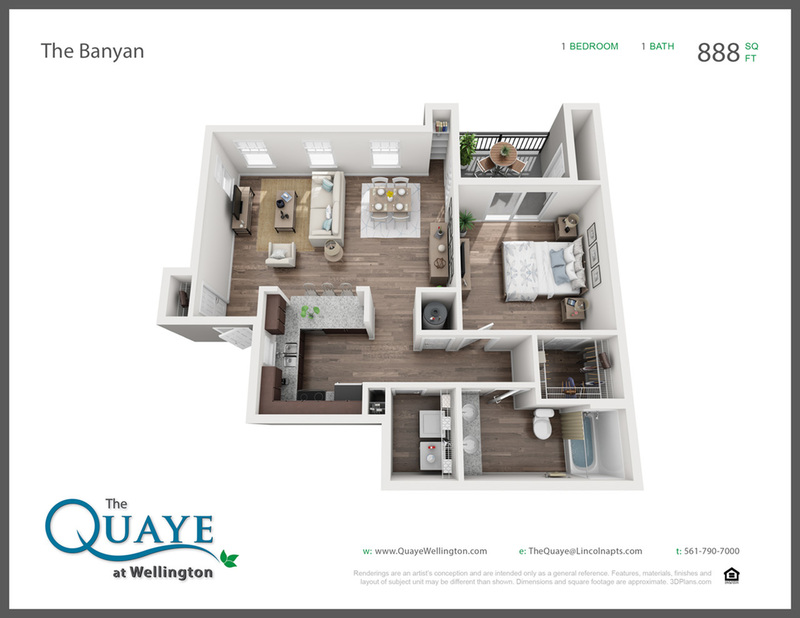 Along with our luxurious features and amenities, The Quaye is a 100% smoke-free community and provides the most efficient use of energy-saving, smart home technology and certified green products. 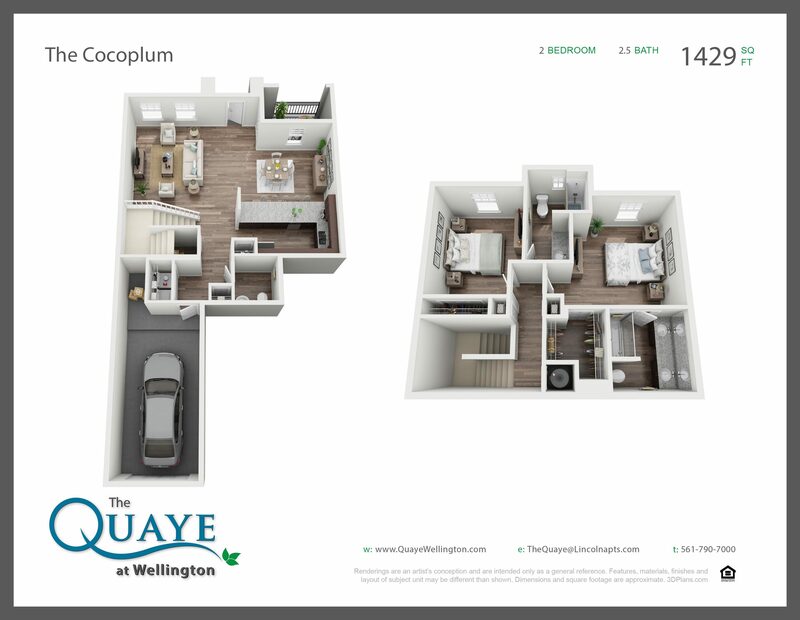 We are leasing quickly so schedule your personal tour today!